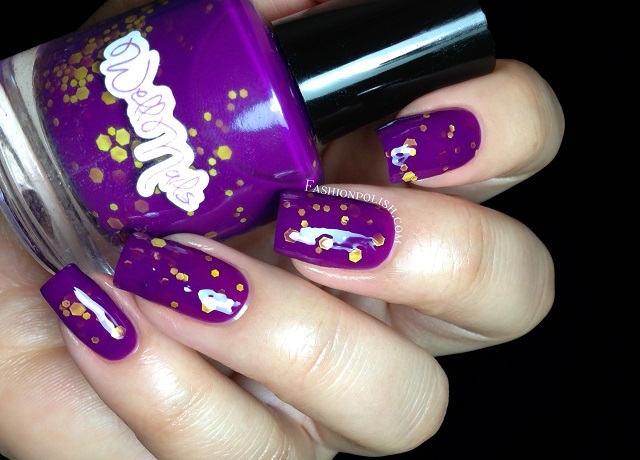 Fashion Polish: WellNails Swatches & Review! WellNails is a 3 free indie brand from Denmark that carries a wide range of colors and finishes. I was sent five of them to share with you, let's just give them a closer look! Legen- is a blue grey jelly infused with a bright blue shimmer. I've always loved dusty colors, especially in the Fall and this one's right up my alley! The shimmer, although subtle, adds a super lovely glow. Formula was on the sheer side but didn't cause me any trouble. This is 3 thin coats plus topcoat. Blue French Horn, also known as "Sort of looks like a Smurf P...." (:O lol) is a deep blurple blue jelly with a mix of mainly bright blue and green glitters. It has a lot of depth and reflects light beautifully. I also used 3 thin coats for complete coverage but the jelly base was more pigmented and you'd be able to get away with a second slightly thicker coat. Oh, Honey..! is a bright red jelly base mixed with red and black hex glitters. I wasn't completely sure about the black glitters at first but once on my nails, I kind of found them fun. I was happy with 2 coats in my swatches here but I'd say it's a 2 to 3 coater. 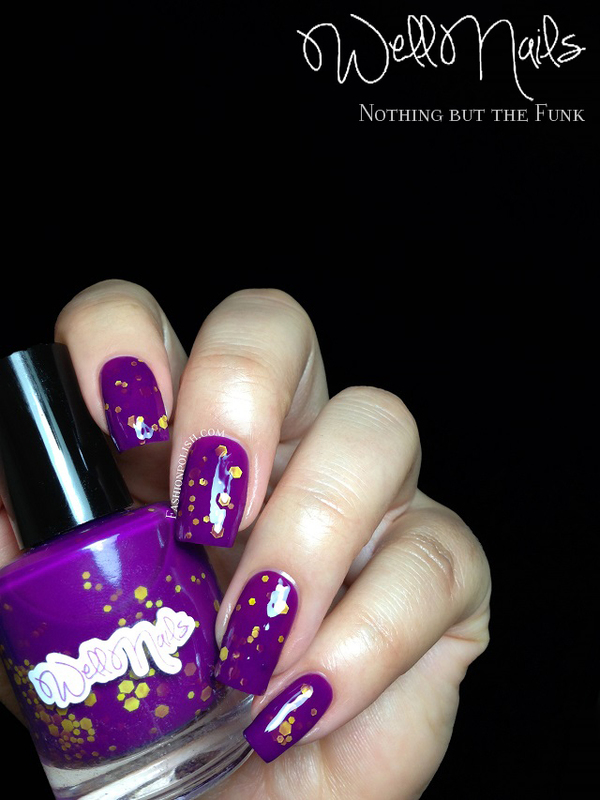 Nothing but the Funk is a vivid warm purple jelly with sparse yellow hex glitters. I was afraid about glitter payoff on the first coat but I did get enough glitters on the second one without having to "fish" them out. This is 2 coats plus topcoat. The North Pole is a Real Place is a sheer glow-in-the-dark with pearly white and holographic glitters. 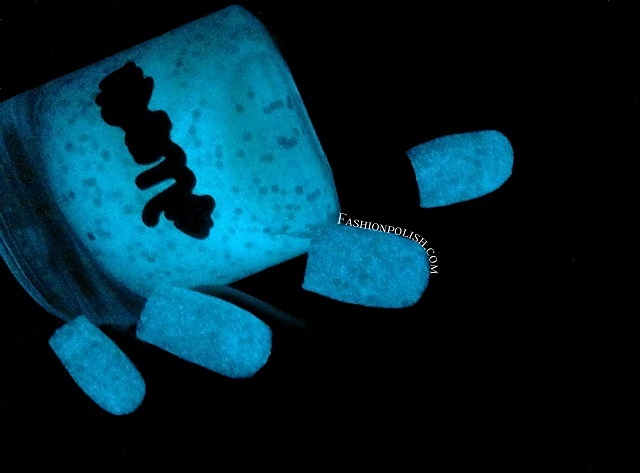 I love that it glows "blue" instead of the regular green, the effect is really strong too! 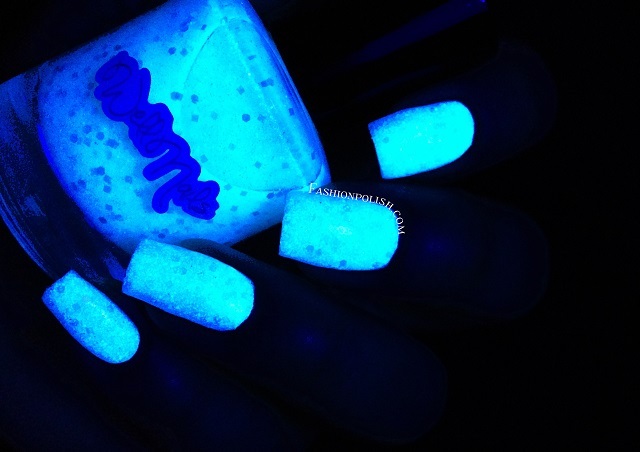 I used 2 thin coats over white, both under black light and in the dark, respectively on the first and second picture. So what do you think about these? Have you ever heard about WellNails before? WellNails retails for $12 to $14 each and can be purchased on wellnails.storenvy.com.